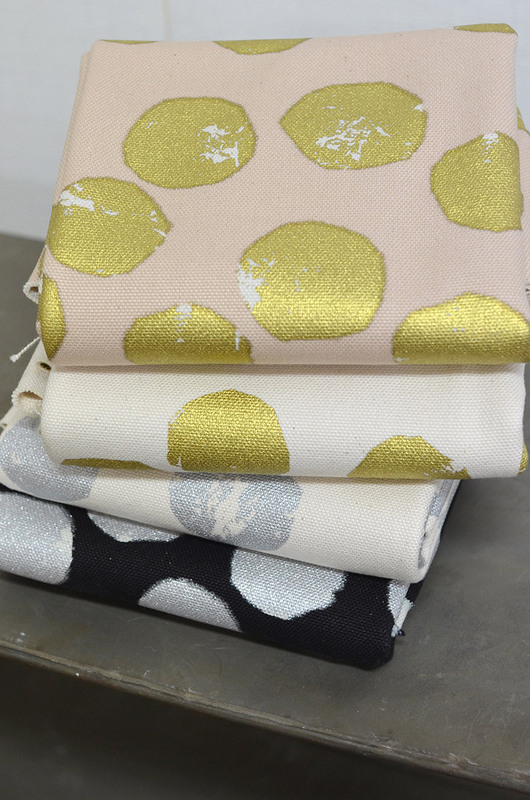 This is a simple design fabric using abundant gold powder for its print. The “Canvas #8” is a thickest fabric that can be sewn using a household sewing machine. 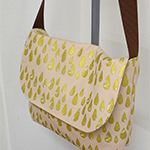 A single layer of this fabric can create a solid looking bag. 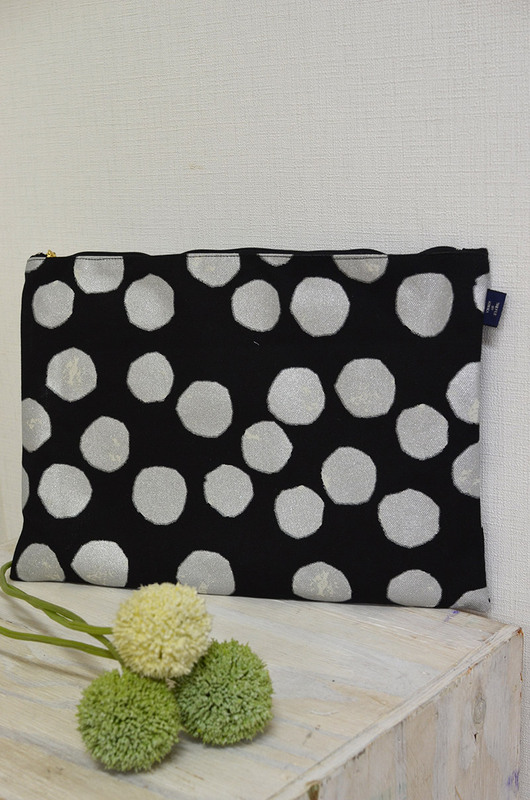 Slightly patchy looking dots in irregular patterns stand out in Dot. 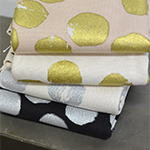 This fabric, printed with gold powder, is different from other dot prints. 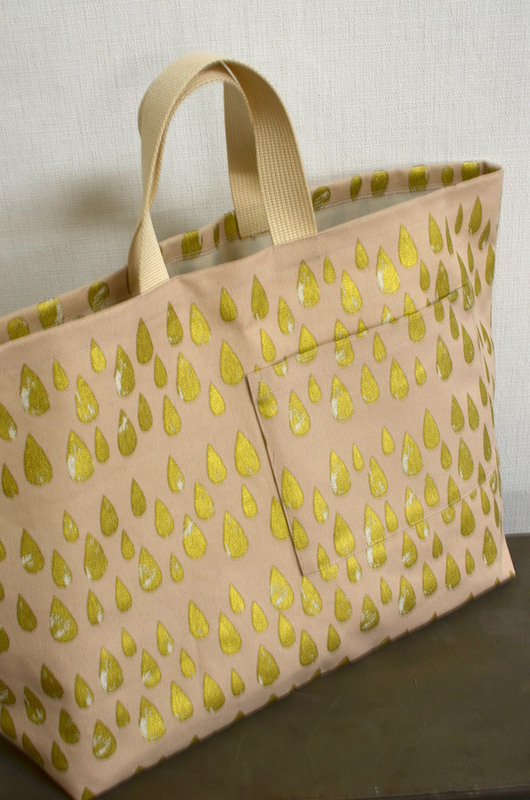 It will definitely spice up the look of an ordinary tote bag. 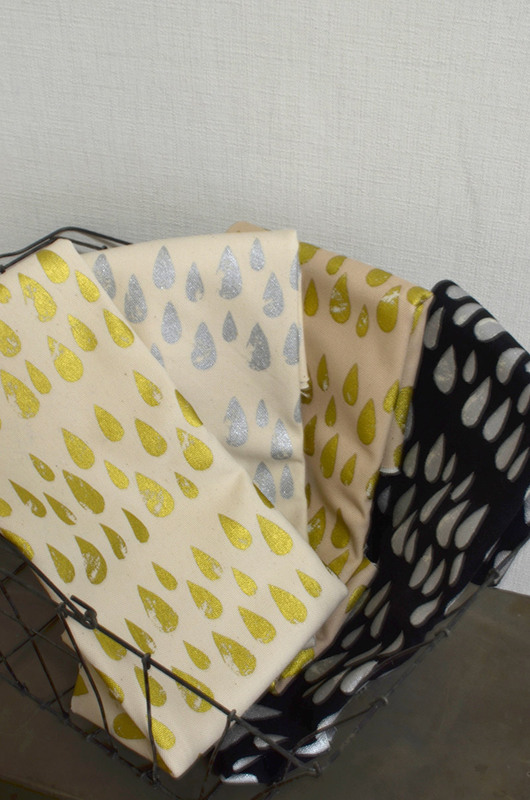 A popular motif for Zakka (knickknack items), a rain drop design is featured. 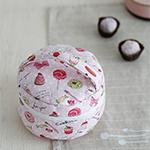 This fabric is perfect for making a currently popular item, a clutch bag. 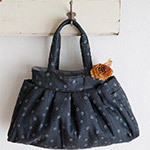 The bag will come in handy for a quick outing.